Difference between revisions of "How Was Science Practiced in Ancient Babylon?" From about 2,000 BC until the early Hellenistic Period (ca. early third century BC), Babylon was one of the greatest cities in the ancient world. It was marked by political stability and military power under three of the most powerful political dynasties of the ancient Near East: the First Dynasty of Babylon (ca. 1894-1595 BC); the Kassite Dynasty (ca. 1374-1155 BC); and the Neo-Babylonian Dynasty (626-539 BC). These powerful dynasties often conquered their weaker neighbors and traded with the stronger ones, but they also nurtured scientific thought, some of which is still used today while other ideas have been discarded or changed dramatically. Ancient Babylonian thinkers were especially excellent mathematicians, as they were the first people to use fractions, which they used to build advance siege weaponry and to parcel out the limited farmable land in their kingdom. The Babylonians were also among the earliest people to develop the study of astronomy and along with it astrology, which was considerably different for them than it is today. The ancient Babylonians were truly a people who understood scientific thinking, but their concept of science differed dramatically from the modern view, or even that of the Greeks, because all of their science was used for practical applications – there was no such thing as abstract science in ancient Babylonia. Ancient Babylonian thinkers were especially excellent mathematicians, as they were the first people to use fractions, which they used to build advanced siege weaponry and to parcel out the limited farmable land in their kingdom. The Babylonians were also among the earliest people to develop the study of astronomy and along with it astrology, which was considerably different for them than it is today. The ancient Babylonians were indeed a people who understood scientific thinking, but their concept of science differed dramatically from the modern view, or even that of the Greeks, because all of their science was used for practical applications – there was no such thing as abstract science in ancient Babylonia. In Babylon, as was the case in every pre-modern society, religion and science were mingled to the point where it was often difficult, if not impossible to separate the two. The primary deity of Babylon was Marduk, who was associated with the planet known today as Jupiter. <ref> Soden, Wolfram von. <i>The Ancient Orient: An Introduction to the Study of the Ancient Near East.</i> Translated by Donald G. Schley. (Grand Rapids, Michigan: William B. Eerdmans, 1994), p. 180</ref> Marduk was preeminent throughout the year, but during the New Year’s festival, known as <i>Akitu</i> in the Akkadian language, Babylonians from all classes were expected to honor the god of the fifth planet. The sacred cult statue of Marduk would be paraded by the priests to all of the temples before being placed in its restricted sanctuary for another year. <ref> Pritchard, James B, ed. <i>Ancient Near Eastern Texts Relating to the Old Testament.</i> 3rd ed. (Princeton, New Jersey: Princeton University Press, 1992), p. 390</ref> The mixture of religion and science would continue and become more pronounced in the later Babylonian dynasties. In Babylon, as was the case in every pre-modern society, religion and science were mingled to the point where it was often difficult, if not impossible to separate the two. The primary deity of Babylon was Marduk, who was associated with the planet known today as Jupiter. <ref> Soden, Wolfram von. <i>The Ancient Orient: An Introduction to the Study of the Ancient Near East.</i> Translated by Donald G. Schley. (Grand Rapids, Michigan: William B. Eerdmans, 1994), p. 180</ref> Marduk was preeminent throughout the year, but during the New Year’s festival, known as <i>Akitu</i> in the Akkadian language, Babylonians from all classes were expected to honor the god of the fifth planet. The priests would parade the sacred cult statue of Marduk to all of the temples before being placed in its restricted sanctuary for another year. <ref> Pritchard, James B, ed. <i>Ancient Near Eastern Texts Relating to the Old Testament.</i> 3rd ed. (Princeton, New Jersey: Princeton University Press, 1992), p. 390</ref> The mixture of religion and science would continue and become more pronounced in the later Babylonian dynasties. Fortunately, modern scholars know a great deal about Babylonian math because their calculating methods and multiplication tables were inscribed on clay tablets that have been preserved. <ref> Stolper, Matthew W. “Literary, Ritual, and Mathematical Texts.” In <i>The Royal City of Susa: Ancient Near Eastern Treasures in the Louvre.</i> Edited by Prudence O. Harper, Joan Aruz, and François Tallon. (New York: Metropolitan Museum of Art, 1993), pgs. 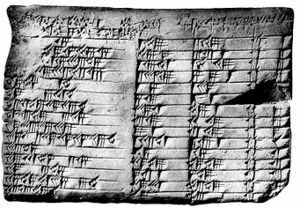 72</ref> The tablets reveal that there was far more to Babylonian math than simple addition and subtraction. Even more than mathematics, Babylonian astronomy represented the melding of science and religion. The planets were all associated with different deities and ziggurats in the city, and throughout all of Mesopotamia for that matter, served not only as temples, but also as scribal schools and celestial observatories. <ref> Frankfort, Henri. 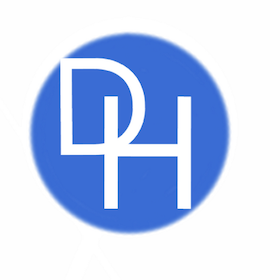 <i>The Art and Architecture of the Ancient Orient.</i> (New Haven, Connecticut: Yale University Press, 1996), p. 20</ref> Once the astronomers made their observations, they were able to develop calendars and make predictions for the good of the state. Even more than mathematics, Babylonian astronomy represented the melding of science and religion. The planets were all associated with different deities and ziggurats in the city, and throughout all of Mesopotamia for that matter, served not only as temples but also as scribal schools and celestial observatories. <ref> Frankfort, Henri. <i>The Art and Architecture of the Ancient Orient.</i> (New Haven, Connecticut: Yale University Press, 1996), p. 20</ref> Once the astronomers made their observations, they were able to develop calendars and make predictions for the good of the state. The astronomical observations the Babylonians made were later discovered by Jewish and Greek scholars, who used the knowledge to predict eclipses. The second century AD Alexandrian scientist, Ptolemy, and even the sixth century BC Greek philosopher and scientist Thales are believed to have accurately predicted eclipses based on Babylonian celestial observations.<ref> Soden, p. 170</ref> The Greeks truly were impressed with Babylonian astronomy, especially during the Hellenistic Period when the Greek Seleucids controlled Babylon and were able to translate many of the cuneiform Akkadian tablets into Greek. But the Greeks were most interested in a Babylonian science that is not considered so today – astrology. The astronomical observations the Babylonians made were later discovered by Jewish and Greek scholars, who used the knowledge to predict eclipses. The second century AD Alexandrian scientist, Ptolemy, and even the sixth century BC Greek philosopher and scientist Thales are believed to have accurately predicted eclipses based on Babylonian celestial observations.<ref> Soden, p. 170</ref> The Greeks indeed were impressed with Babylonian astronomy, especially during the Hellenistic Period when the Greek Seleucids controlled Babylon and were able to translate many of the cuneiform Akkadian tablets into Greek. But the Greeks were most interested in a Babylonian science that is not considered so today – astrology. There is a common misconception among many people in the modern world that scientific thought began with the ancient Greeks, but an examination reveals that true science was being practiced centuries earlier in the Mesopotamian city of Babylon, albeit with some fundamental differences. The ancient Babylonians were the first people to use fractions, make advanced astronomical observations, and create one of the most accurate calendars of the ancient world. Still, the science practiced in ancient Babylon had some fundamental differences from modern or even Greek practices. The Babylonians never abstracted their science: they never questioned the processes and did not develop theorems or proofs for the mathematical formulas. Whether it was done for agriculture, diplomacy, or warfare, all Babylonian science was done for the benefit of the state. Finally, science and religion were tightly intertwined in ancient Babylon. Astronomical observations were made by priests in religious temples to make predictions for the king and state, which were sanctioned by the Mesopotamian deities. In Babylon, as was the case in every pre-modern society, religion and science were mingled to the point where it was often difficult, if not impossible to separate the two. The primary deity of Babylon was Marduk, who was associated with the planet known today as Jupiter. Marduk was preeminent throughout the year, but during the New Year’s festival, known as Akitu in the Akkadian language, Babylonians from all classes were expected to honor the god of the fifth planet. The priests would parade the sacred cult statue of Marduk to all of the temples before being placed in its restricted sanctuary for another year. The mixture of religion and science would continue and become more pronounced in the later Babylonian dynasties. Fortunately, modern scholars know a great deal about Babylonian math because their calculating methods and multiplication tables were inscribed on clay tablets that have been preserved. The tablets reveal that there was far more to Babylonian math than simple addition and subtraction. Even more than mathematics, Babylonian astronomy represented the melding of science and religion. 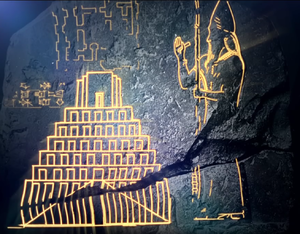 The planets were all associated with different deities and ziggurats in the city, and throughout all of Mesopotamia for that matter, served not only as temples but also as scribal schools and celestial observatories. Once the astronomers made their observations, they were able to develop calendars and make predictions for the good of the state. The astronomical observations the Babylonians made were later discovered by Jewish and Greek scholars, who used the knowledge to predict eclipses. The second century AD Alexandrian scientist, Ptolemy, and even the sixth century BC Greek philosopher and scientist Thales are believed to have accurately predicted eclipses based on Babylonian celestial observations. 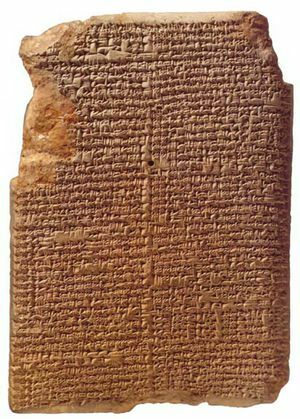 The Greeks indeed were impressed with Babylonian astronomy, especially during the Hellenistic Period when the Greek Seleucids controlled Babylon and were able to translate many of the cuneiform Akkadian tablets into Greek. But the Greeks were most interested in a Babylonian science that is not considered so today – astrology.